TZ here; Steve B has invited the author of this article Genele Edey to contribute to Golden Age of Gaia. This article is one that many of you will see the need for as you read the first paragraph. “Do you ever feel despite your best efforts to resolve conflict, or even communicate, with a spouse, co-worker, manager, friend, etc., these others live in a completely different reality than you do?” I feel that Genele gives us a fresh new way of seeing the entire situation in dealing with communication problems. “The ‘old paradigm’ approach to addressing these issues is ‘conflict resolution’, a ridiculous band-aid that does not address the underlying systemic issues, nor reality gaps”. I for one will be checking out any coming articles by this lady. 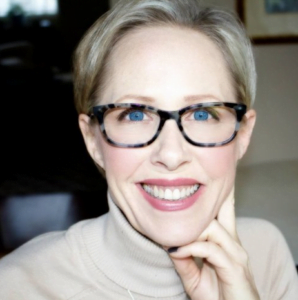 Steve: Genele Edey is a transformative coach, certified through the International Coach Federation, and an intuitive and energy healer, living in Seattle, WA. I’ve invited her to become a contributor to the Golden Age of Gaia. Welcome, Genele. Do you ever feel despite your best efforts to resolve conflict, or even communicate, with a spouse, co-worker, manager, friend, etc., these others live in a completely different reality than you do? It’s so obvious that you see what you see and why can’t the other person see it the same way? It can be frustrating and exhausting until someone surrenders to agree to disagree leaving its own debris of disconnection. It doesn’t matter how trivial or complex the issue is, what matters is the ongoing battle between two or more realities when resolution seems an act of futility. Take for example couples who unconsciously recycle the same argument for the entire course of the relationship without any resolution – ever. Think about that. What’s really happening is what I refer to as ‘reality gaps,’ a very real experience with a neuroscientific explanation. When we are unaware of the existence of reality gaps it’s like sharing a room filled with enormous invisible elephants with droppings of anger and resentment. Lack of awareness and understanding of reality gaps creates assumptions and separation. The assumption that we see reality the same way feeds competition and the addiction to being right. WRONG. The good news is we can understand through neuroscience how each of us perceives a different reality through the lens of our unique stored memory of past experiences, beliefs, values, thoughts, and feelings. What I perceive in my current experience is very different from what you or any other person on the planet perceives, even if we are all having a shared experience. A dramatic example of this is the blind person who can suddenly see. Because we don’t see with our eyes, we see with our brains, this person has no ability to attach meaning to the current experience because the brain has no stored memories of seeing. They must train their brains to identify what they perceive just as we all did. So let’s talk about groups and teams. Any time you have more than one person, you have a system. All systems have agreements, spoken or unspoken, conscious or unconscious. If these agreements are invisible, systems are wrought with personal biases, assumptions, and preferences. This creates an ecosystem of paradoxical experience for all members, manifesting as conflict. Since the human brain was originally designed for survival, when we sense fear, the brain’s prefrontal cortex (executive decision making brain) shuts down and quickly moves to the limbic brain where survival emotions of fight, flight, freeze and appease surface. Stress hormones are then released into the body and we go into lockdown. The brain, reality, communication, connection – all on lockdown. No one at this juncture is seeing the truth about anything. The ‘old paradigm’ approach to addressing these issues is ‘conflict resolution’, a ridiculous band-aid that does not address the underlying systemic issues, nor reality gaps. Inherent in any conflict is the paradox between ‘stuckness’ and ‘movement.’ Stuckness is often the result of unconscious efforts to eliminate paradox leading to paralysis and analysis. Conflict creates fear, anxiety, and powerlessness the outcome of which is cultural, organizational, familial or another systems of breakdowns in communication, connection, cohesion, and collaboration and most importantly heart-coherence. As with any paradox the intention is to exchange the ‘either/or’ experience for a ‘both/and’ experience, meaning honoring all perspectives/realities as valid, and therefore valuable. Instead of resisting the paradoxical experience, conflict can be embraced as the seed of creativity for new solutions. Breakthroughs reside at the heart of paradox opening up new possibilities for solutions, creativity, and innovation. 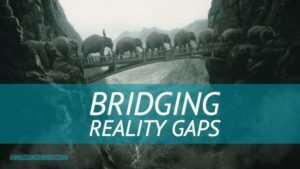 Making visible the invisible and acknowledging the elephant in the room is imperative to bridging reality gaps. When we move out of fear and let go of assumptions, we can lean into paradox and conflict with curiosity and empathy. Our emotional, intuitive and conversational intelligence creates the space for discovery, connection, communication and collaboration. What we all aspired to ultimately is co-creation. Wouldn’t you rather play in a sandbox filled with curiosity rather than stuck in a room full of giant elephants? Get curious, step into ‘others’ shoes, mine for nuggets of reality you may not be seeing and use them as seeds of creativity and solutions. Who knows, you might just build a beautiful sand castle. Not much room in a sandbox full of giant elephants. Tell those guys they can go play in the mud. Well, that was disappointing. Seems like the introduction to a really good article. Where’s the article? How about some examples, at least?